Is your paint set running out of White? A common problem when you buy paint in sets is that there is never enough white for mixing. That’s why we have made Outlines paint available in a single 75ml tube. A Single acrylic paint tube is not always available in your usual brand . Outlines large white acrylic paint can be used with our set of 12 colours and with other makes of acrylic paint for artists and students. Whether you are a professional artist, a student or absolute beginner who likes a smooth blendable paint to mix pastel shades, it’s likely you will always need more white than any other colour! Comes in a convenient large tube 75ml. Has a smooth texture which is easy to blend with other colours. Can be mixed with other colours to give you all the tonal range you will need. Can be thinned or used straight from the tube. Can be mixed with with other brands of paint, gels, extenders and thickeners. Is Non-toxic and water washable. ASTM D-4236 and EN71-3 (CE) certified means our paint is safe for children and can be used on furniture, toys and dolls. Titanium white is a neutral white that will not discolour. The paint dries fast but not too quickly. To keep working, we recommend squeezing small quantities on your pallette as you need it. Drying time will depend on the atmosphere in your workspace. When you buy any set of acrylic paints you’ll never have to worry about running out of white for mixing . 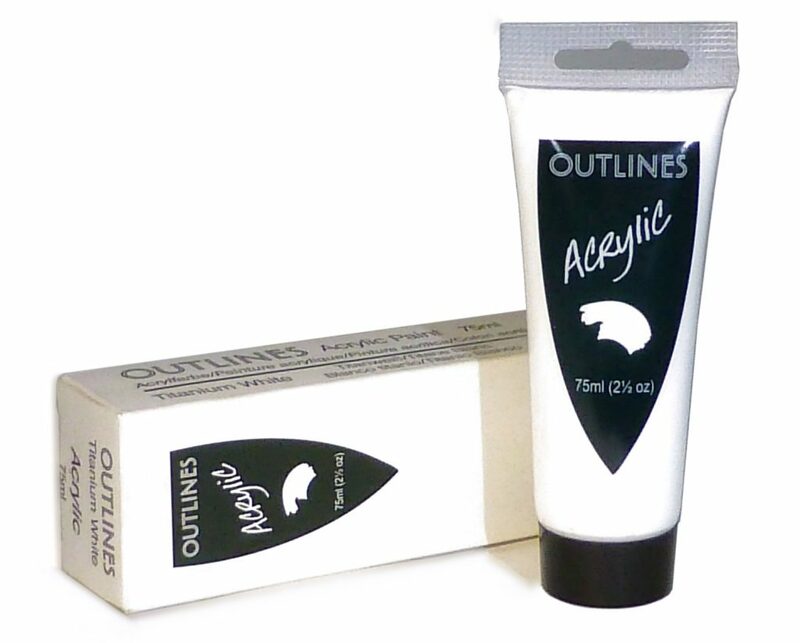 Top up your supplies of acrylic paint with Outlines individual tube of white paint. 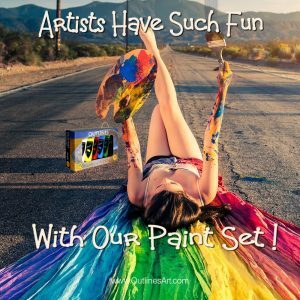 While you are visiting, click here to read about our 12 colour acrylic paint set.